First stop on the second day and the sign in front of the bowser says, No Fuel Till Lunch. I had a couple of poached eggs on toast, a cup of tea and a bottle of water and was feeling happily fuelled. 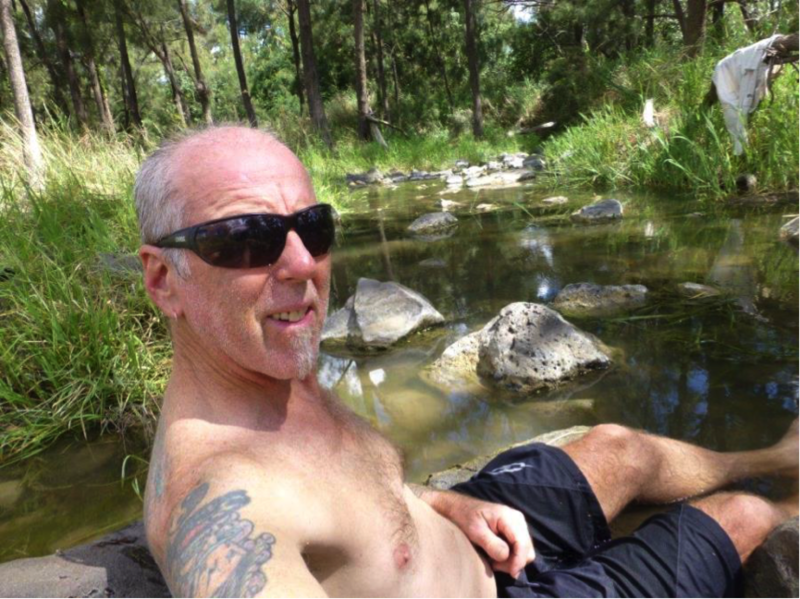 When I crossed the Clark River it was barely flowing but it was enough to sit in and cool off (fully clothed). 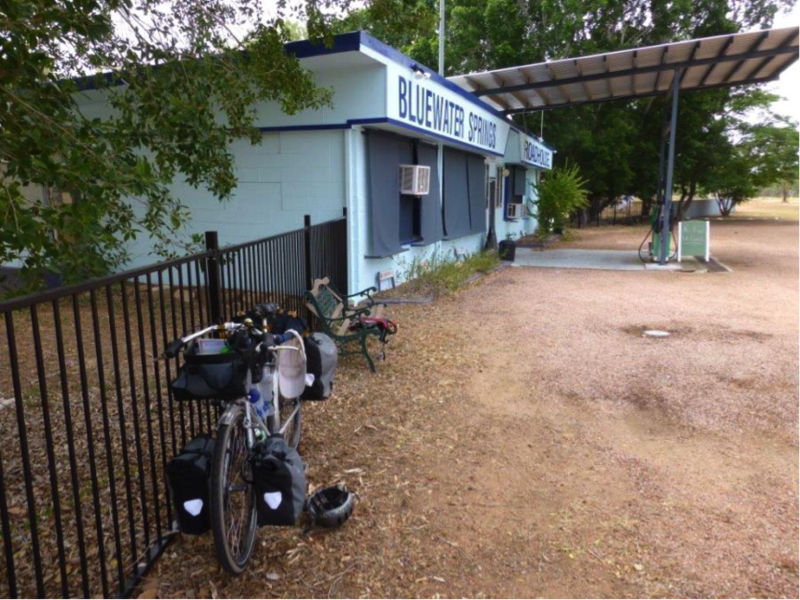 It was a long day in the saddle into a headwind ending in Greenvale to camp for the night. 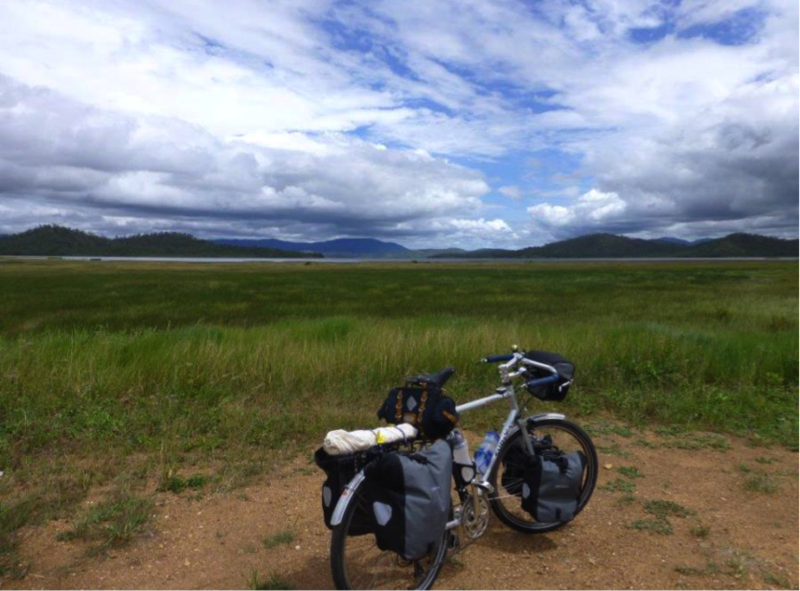 Next day was another headwind ride to the Lynd and then start searching for a likely camp site. I couldn’t believe my luck when I crossed Eight Mile Creek to find it flowing. My trip I couldn’t believe my luck when I crossed Eight Mile Creek to find it flowing. My trip computer had been showing 50deg C in the sun and I just couldn’t seem to drink fast enough. I think I sizzled as I sat down in the water. What an oasis. 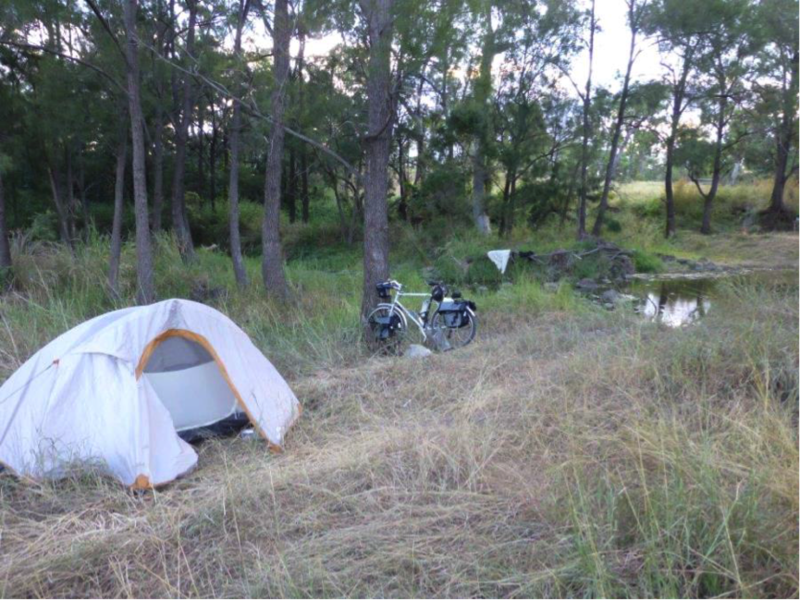 Eventually I got out of the water and put the tent up for the night. 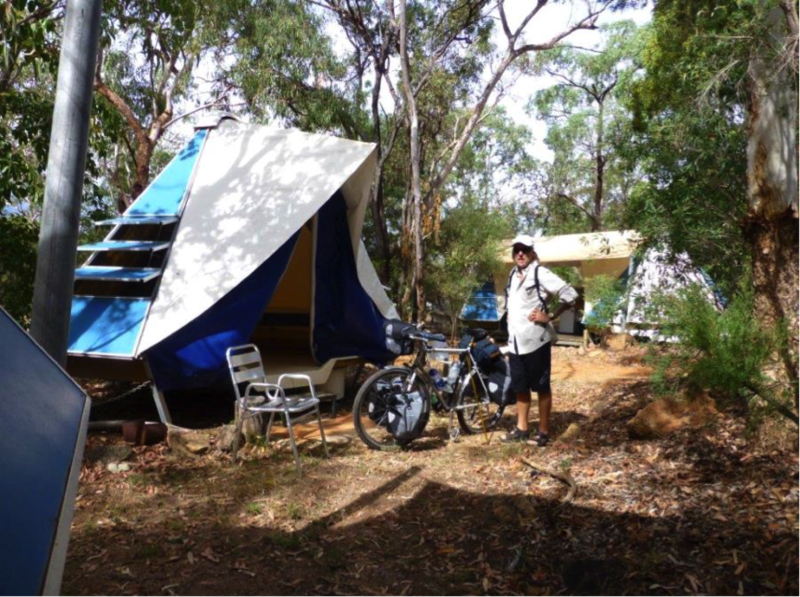 Time to get the legs spinning again the next morning as Undara Lava Tubes was the destination. It was another hot day with a headwind and I was digging deep for the last 20 or 30km to get here. But no need to put the tent up as I used their onsite tent. After 4 hard days riding I decided on a rest day here, and what a great place for a break. Some bushwalking in the morning. The bower birds are serious nest builders here. Ha, ha. 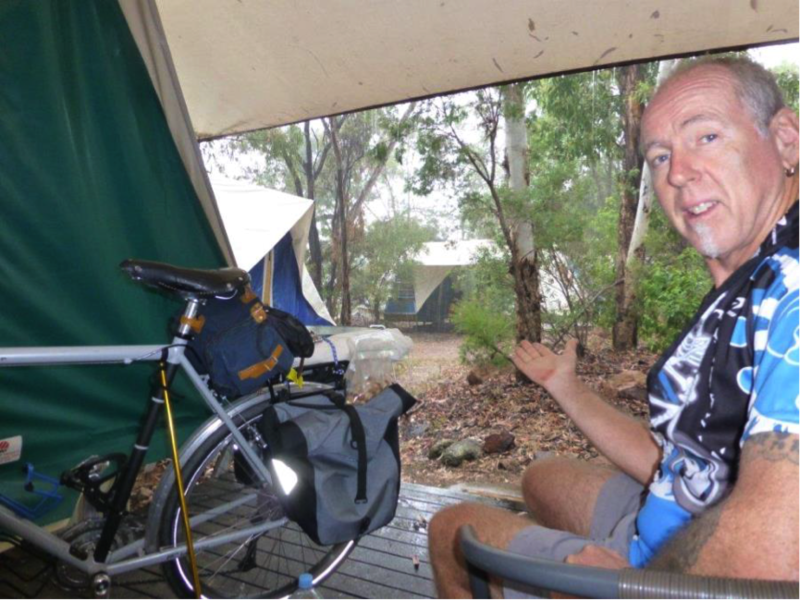 Then it rained for a few hours in the arvo. Time to move on again. This time heading for Mt Garnet. How unusual -headwinds again! Just a break for a snack and drink along the way. 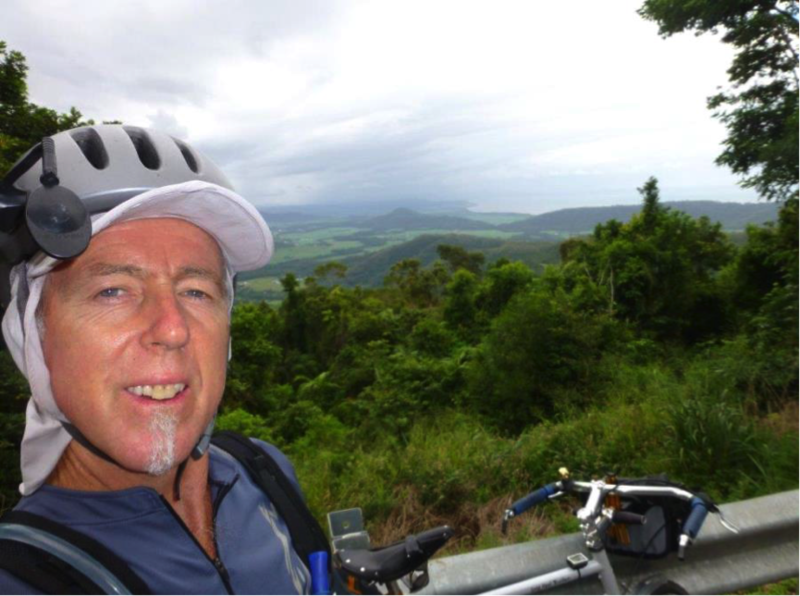 When I arrived in Mt Garnet I met a Swedish guy touring around OZ. 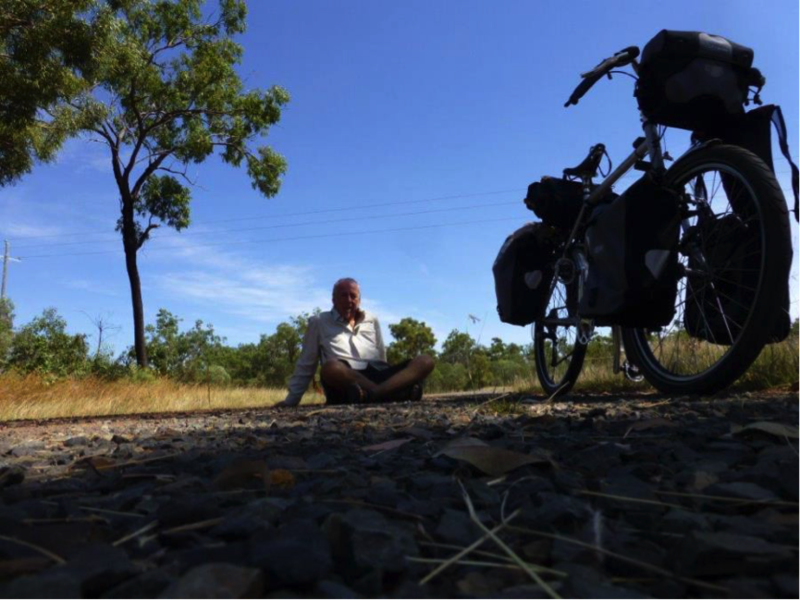 He had taken 4 months from Sydney (clockwise) so was most of the way round. I’m glad I wasn’t carrying the weight he had on his bike. 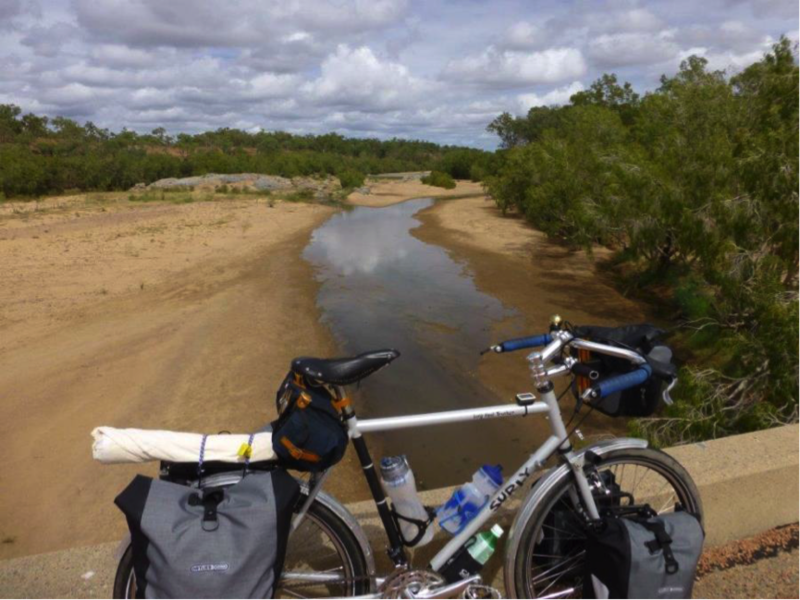 He had been carrying 25lts of fluid to keep himself hydrated getting across the top end. 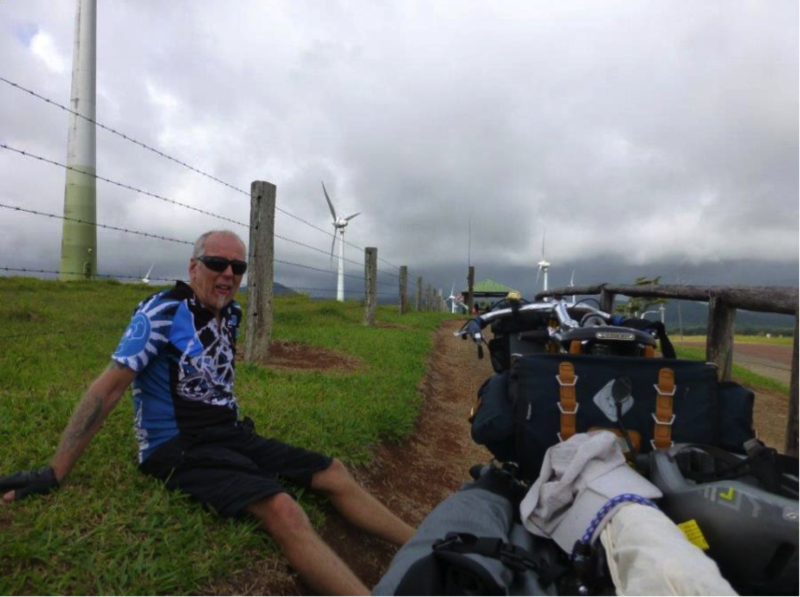 Next day was gusty headwinds and into some hill climbing to get up into the tablelands. 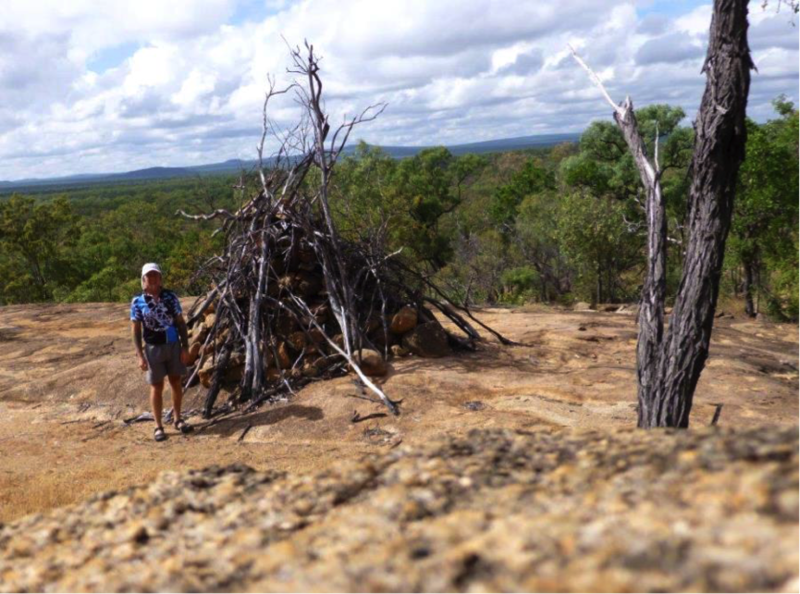 Puffed at the top of the hill above Ravenshoe which is the highest town in Queensland. With the gusty winds the wind generators were spinning well. I made it through to Atherton and it was a hard day but also so exhilarating. Sharp uphills and downs with lovely fast flowing corners. All so green and lush. All the creeks flowing. A bit of a damp stay here in Atherton but a great spot. 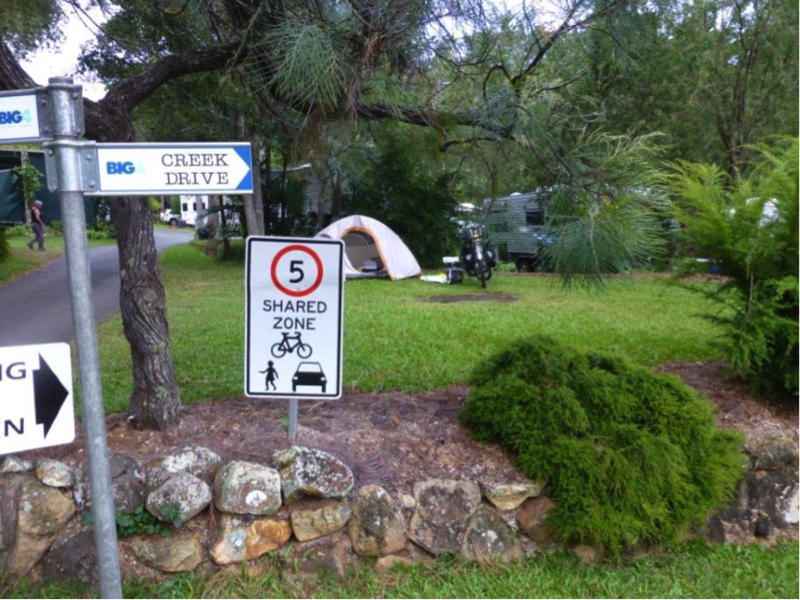 All speed advisory signs in OZ should be written like this I reckon. I hit the road again next day to (finally) a tailwind day. Mostly flat roads tills the last 30 or so kms. Mosman, my destination, is off in the distance after 9kms of downhill, tight switchback corners and luckily no cars to interrupt play. 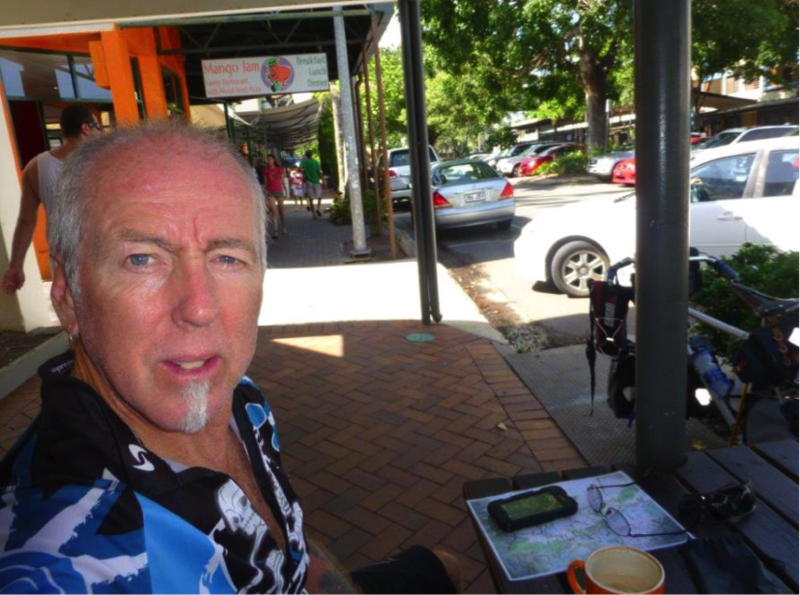 Next morning started with a short ride to Port Douglas for coffee and nibbles. 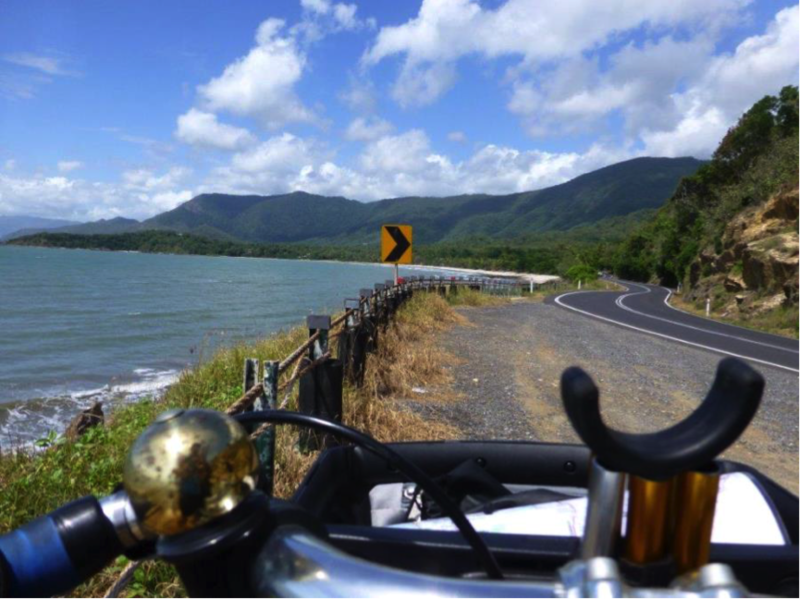 And onto the coast road which I had been looking forward to doing all along. 20 or so undulating kms just like this. Shame it was Saturday so it was a bit busy with traffic. Then the last night of camping at Ellis beach. 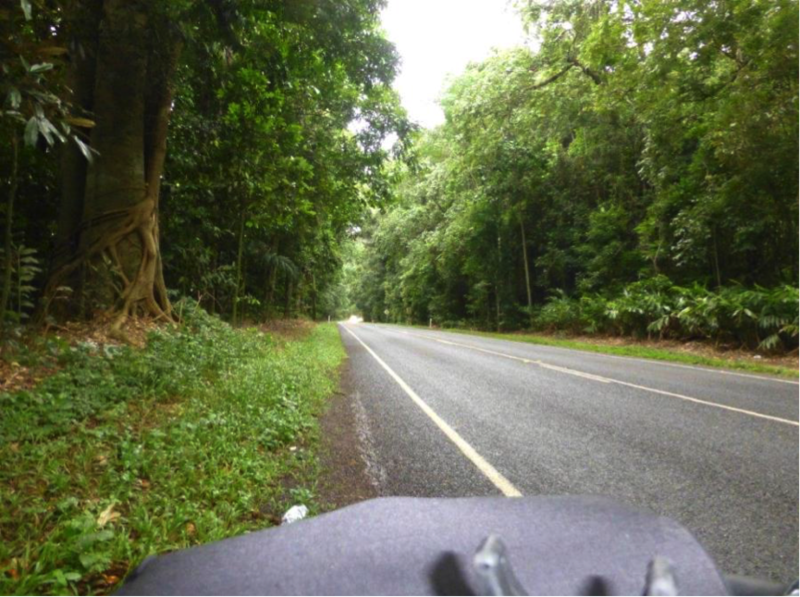 A short ride next day into Cairns. Being Sunday there was a live band playing in the beachfront park to while away a lazy afternoon. Then into the night market for a massage. 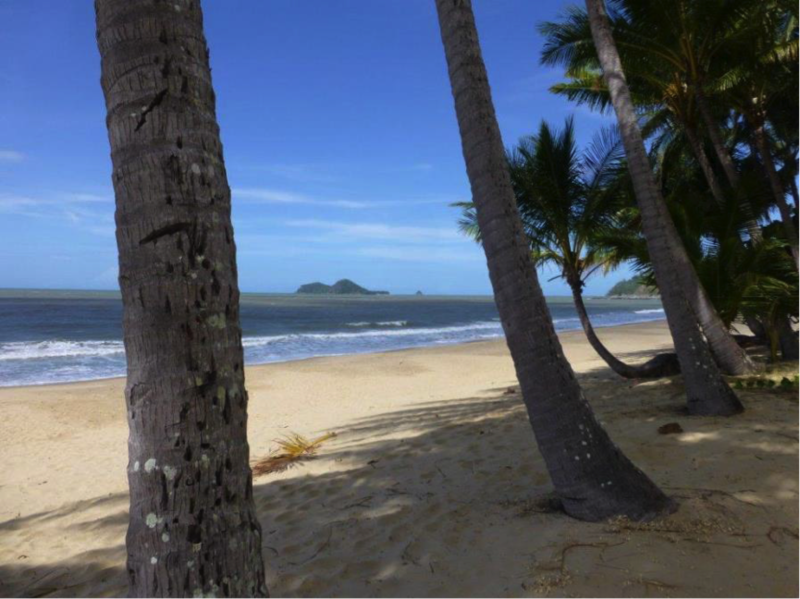 Next morning it was onto the train back to Townsville. All up 851km in 9 riding days.